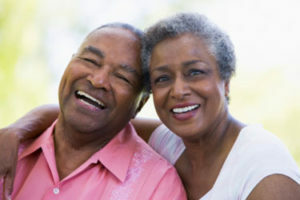 Dental implants have become a desirable alternative to other methods of replacing missing teeth. 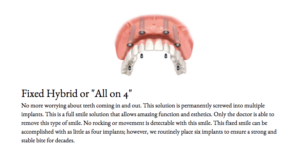 The challenges of missing teeth, poor-fitting dentures, and compromised chewing ability can all be solved with dental implants. Improved Aesthetics: Dental implants help fill the gaps left by missing teeth and restore your beautiful smile giving you a level of confidence. 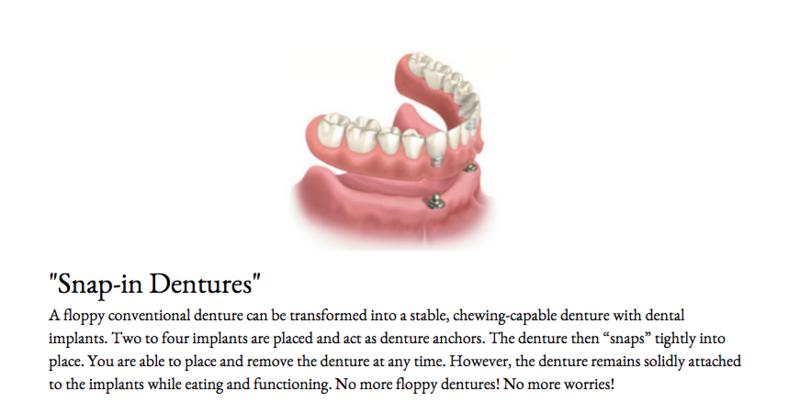 Restoration of oral function: Dental implant restorations function and feel like healthy, natural teeth. 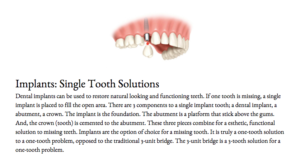 Our patients can return to their normal diets once the base implants have properly integrated into the jaw bone. This means eating all the foods you used to love-but couldn’t really enjoy with missing teeth and inadequate bridge work. Improved speech: Teeth play an essential role in speech and articulation. A missing tooth can compromise this ability. Dental implants successfully fill the gaps and restore the proper interaction of the teeth with the tongue and lips during speaking. 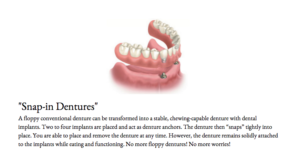 Unlike removable dentures and bridges, dental implants are ‘rooted’ in the bone and do not require support from the surrounding teeth and gums. As a result, inflammation of the gums is typically minimal/non-existent and there is less damage to the surrounding teeth. 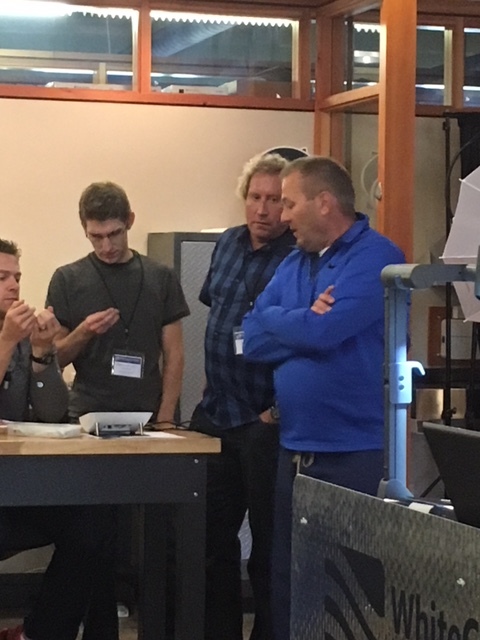 Minimal discomfort: Utilizing advanced computer software and 3-D virtual imaging, Dr. Frerich expertly places dental implants. This allows for minimal post-operative pain and discomfort and a much shorter recovery period. If you prefer sedation, this is always an option available at our office. Maintenance of bone structure: When a permanent (adult) tooth is removed without replacement, the bone goes away. 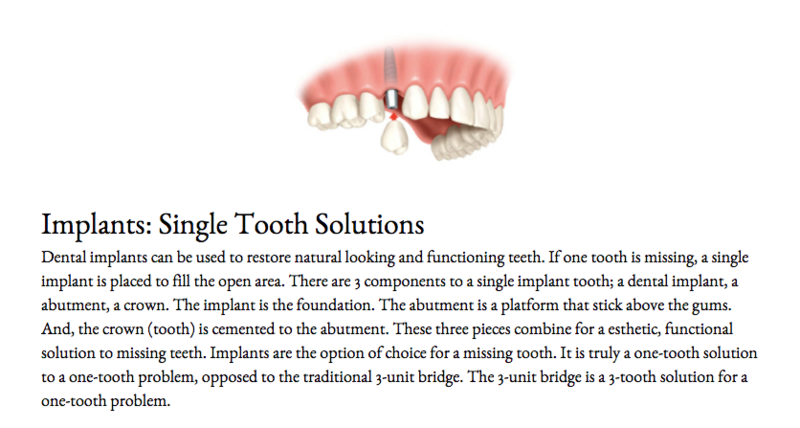 Implants are rooted into the bone, mimicking the root of the tooth, thus continuing good healthy bone stimulation. Long-term solution: If the implant is cared for properly, dental implants can last a lifetime! 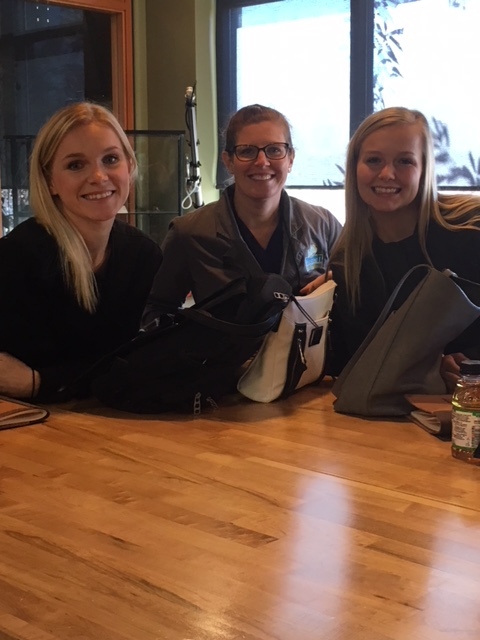 Dr. Frerich and his team strive continuously to improve their skills and level of care by attending intensive team training. 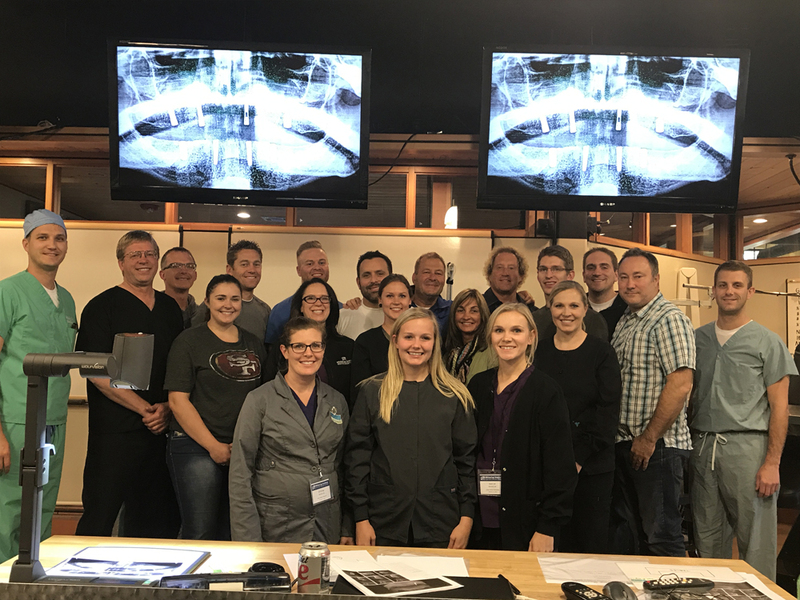 In this photo, Dr. Frerich, his son Dr. Andrew, and assistants Jill, Heidi, and Marissa were in Heber, Utah at the world-renowned WhiteCap Institute receiving advanced training in dental implants. Dr. Frerich is an alumnus of WhiteCap, having received extensive implant training over the last 5 years, as well as being a personal friend of Dr. PK Clark, founder of WhiteCap. Dr. Clark is a practicing dentist, international lecturer, researcher, and mentor to dentists from all over the world.